Growth Charts are a wonderful item to give to a child. 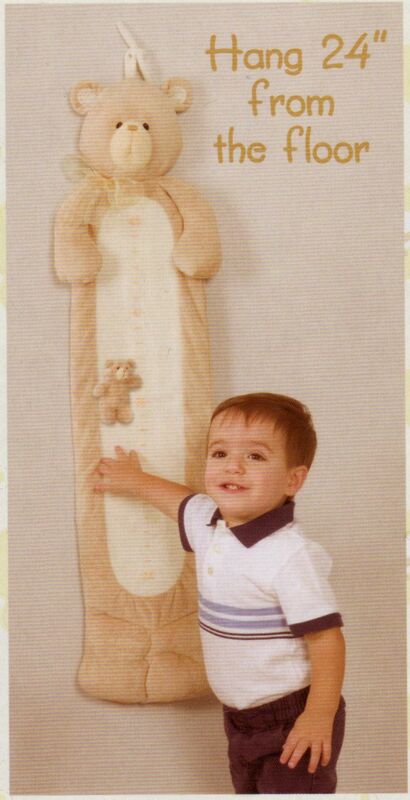 Not only do they measure a child's growth progress but they are also a very nice addition to any child's room décor. Children enjoy them. The growth charts can be personalized by adding a name and photos to them. You can even use a permanent fabric marker to make notations such as dates, names, etc. The children use these growth charts for years and then they become a keepsake to be treasured forever!